This is one of those books you start reading because you feel you ought to, because everyone tells you you really should, which is actually rather annoying, and you’re pretty sure it’s not your thing, it’s the sort of thing people have to read for school exams, so you start grudgingly and……begin to tell everyone else they really should read it. Väinö Linna’s Tuntematon sotilas (1954) still holds enormous significance for Finns, and the original film version, which came out a year after the book, is shown on TV every Independence Day, and a new film version has just come out in time for Finland’s centenary. The book is a diluted version of the original Sotaromaani (lit. War Novel, only published in full in 2000); the publisher radically cut it to suit the patriotism and delicate balance of Finland’s relationships between Russia and the ‘West’ after World War Two, and to modify the language, innuendo, and critical view of war itself for a fifties audience. The plural title in English reflects the reality of how Linna tells them – these men are thrown together across class and regional boundaries, have to learn to live together, fight together, and die together – fast. These are ordinary men; and women, though their stories are told from the men’s view. To counter that, a new collection of stories about the women characters by well-known authors, Toinen tuntematon (The Other Unknown), is out now. As are branded cleaning products to tie in with the new film, which created some controversy, to say the least… (article in Finnish but the images speak for themselves). Every single character is different. The glorious range of Finnish accents and dialects in the original must have been a huge challenge for the translator. I read this in Finnish, and just some extracts in English shown here, which show she rises to that challenge. There is comedy mixed in with the tragedy, and a healthy disrespect for authority alongside the patriotism. There are plenty of ignoble moments – soldiers stealing food, deserting – as well as the brave stands against all odds and dramatic ends that you might expect. 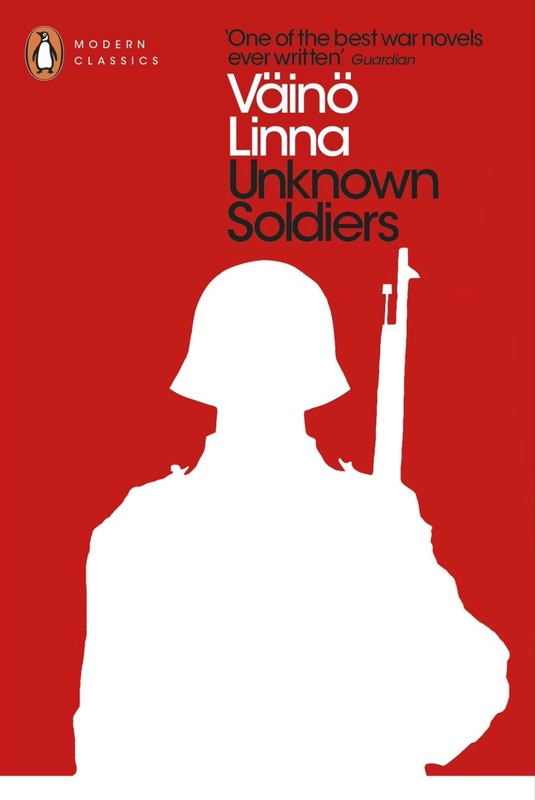 These men are not caricatures, and Linna makes them step right off the page for you. If like me, military history is not your thing, and you are doing your best not to read so many books by white men, you might make an exception for this one. It says what so few of the few who came back were able to say – what it really felt like to be there.